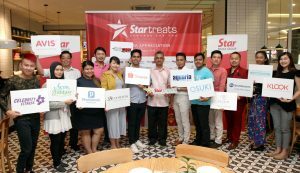 In a show of appreciation, the group held the inaugural StarTreats Partner Appreciation event at Delicious Cafe, One Utama Shopping Centre, Petaling Jaya. The partners included Shopee, Nilai Spring Golf and Country Resort, Blastacars Drift Karts, Best Western i-City Shah Alam, Parkroyal Kuala Lumpur, Osuki Commerce, Motherhood, Aquaria KLCC, Klook, SweetHut Holiday, Aeon Fantasy, Avis, Photobook, Celebrity Fitness, Bloomthis, A Cut Above, Khind-Mistral Sdn Bhd, AD Time Sdn Bhd and Ascott International. “The Star began its story in 1971 and today we are still the leading English daily,” said Star Media Group senior general manager (print) Mohamed Hassan Mohamed Ali. Mohamed Hassan (seventh from right) and The Star partners marking the success of StarTreats at the appreciation event. “Most importantly, we are representing the voice of the community and country. We are more than just a newspaper. “The Star’s success is dependent on three things: the great journalists who have dedicated their lives to news content for hundreds of hours, the supportive readers who are our subscribers and partners who provide the added value by being a Star consumer. “The latter helps us provide a great content experience,” he added. 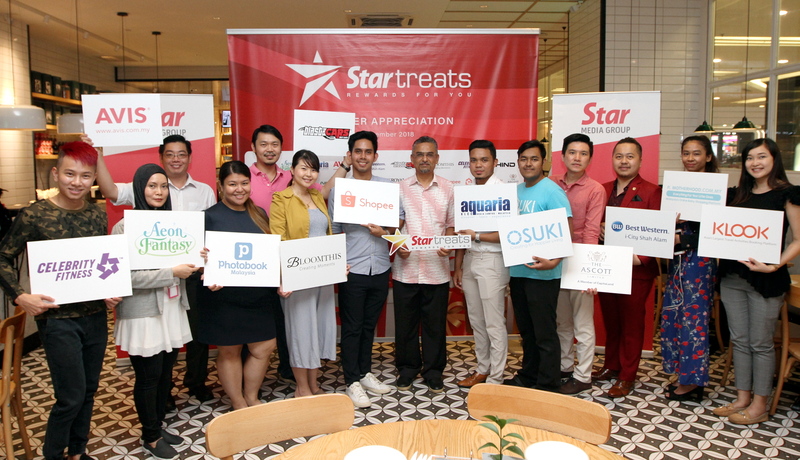 Launched in July, StarTreats is The Star’s Loyalty Programme for its newspaper subscribers. Mohamed Hassan further remarked that with all these partners offering products and services favoured by the subscribers, StarTreats has been successful. “There were only eight partners in the beginning. Now it has grown to 19 partners offering great deals. “Thus, this event is a token of appreciation for our partners,” Mohamed Hassan said. In a subtle way, StarTreats is a bridge between readers and partners, built by The Star where readers can now differentiate The Star from others. The event also offered a chance for networking and partnership between Star Media Group and its partners. The Star is looking forward to working with more new partners and offering more great deals for its subscribers through the programme.